In 1999, the largest cyclone to hit India in over 100 years ripped through the coastal region of Odisha for three days. This cyclone was in the same region where CITTA had been running the hospital since 1996, and it destroyed the few small government schools that existed. Odisha, one of the poorest states in India where only 10% of the local population has received any formal education, is already at a disadvantage. In 2001, CITTA responded to the lack of educational resources in the community by constructing The Vivekananda Primary School. This public school opened with 140 students in KG-1, 2 and 1st and 2nd grades. Now, after 10 years, the school has grown to include all classes from KG-1 to 10th. To accommodate the approximately 350 students presently enrolled, CITTA constructed a second larger structure for a high school. Presently, we have 31 staff, of which 23 are teachers. The curriculum includes math, science, social studies, art, music, ethics, Oriya, English, Hindi, and Sanskrit. On Saturdays, the entire student body gathers under the canopy of the school’s banyan tree for their yoga class. 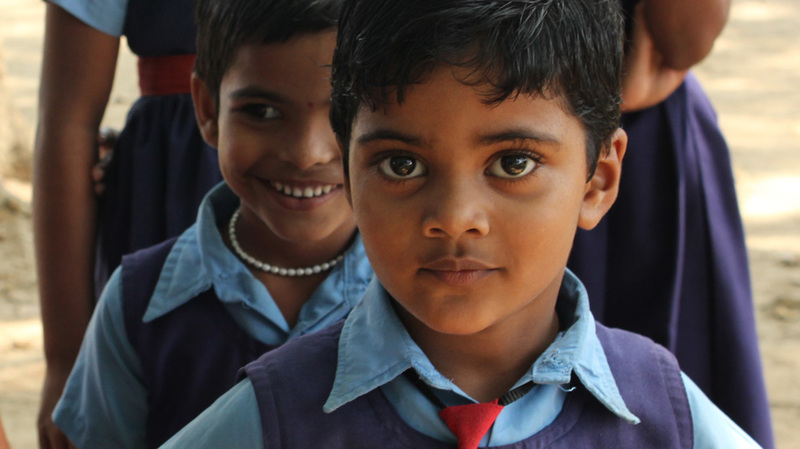 The majority of the students come from families who rely on subsistence farming, fall well below the poverty line established by the Indian government, and live on less than $2 per day. The students show great enthusiasm for their education and travel to the school from many local villages as far away as 8km (5 miles) by foot or bicycle. The school offers underprivileged children, both boys and girls (the latter of whom were previously kept home), the only opportunity for an education in the area. In 2009, five of our high school students received top scores on state level exams, making the Vivekananda High School one of the highest-ranking schools in the district!